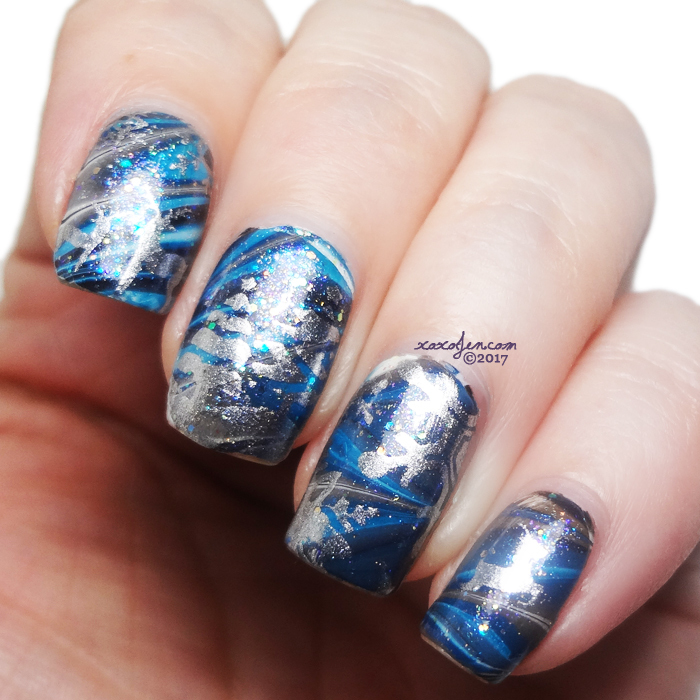 Tis’ the season to sparkle and KBShimmer has you covered! This winter, enjoy eight all new shades, each with holographic sparkle. As you put up the shining lights, wrap up gifts in jewel toned paper, or pour a glass of seasonal cheer, these bright and festive colors will bring home the feel of the holidays. 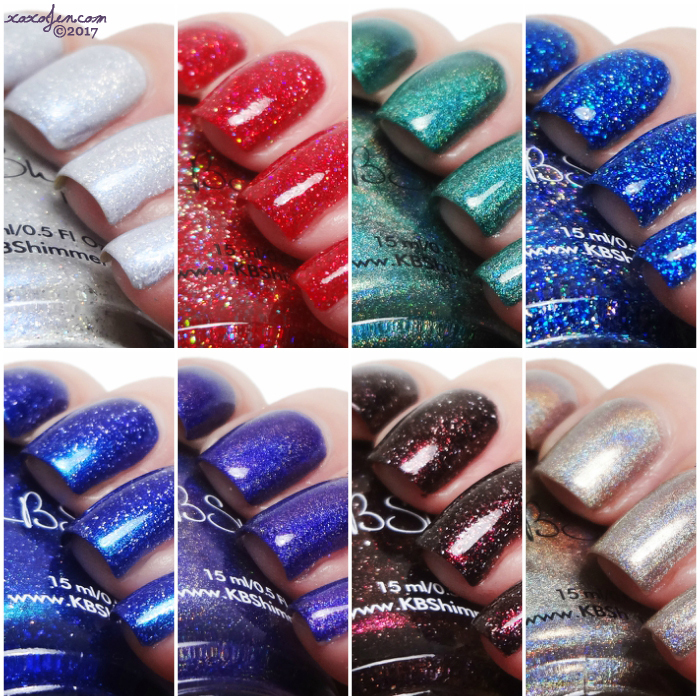 The winter collection features KBShimmer’s new five free polish base and retail for $9.25 each. 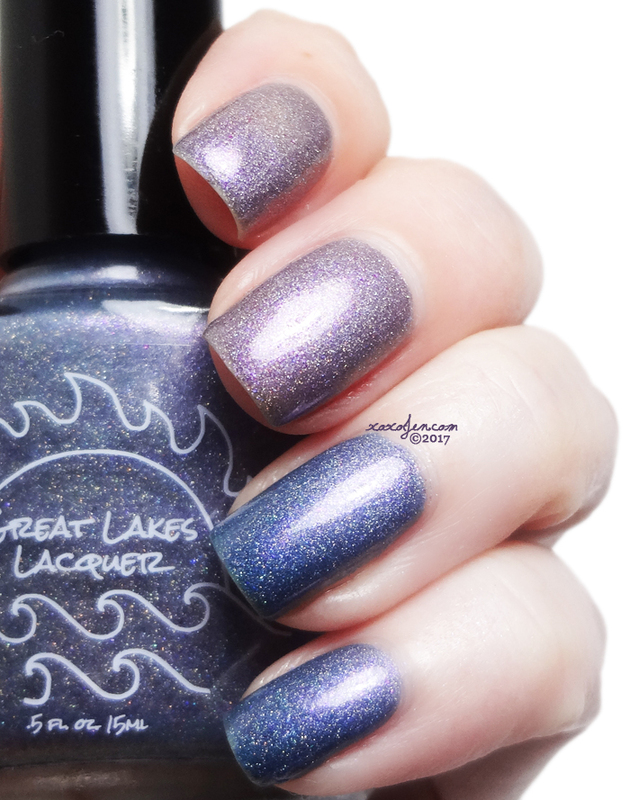 Up To Snow Good – Holographic glow flakes, subtle blue shimmer, and a dash of micro holo glitters shine like untouched snowbanks, accenting the pale gray color of this snow inspired polish. 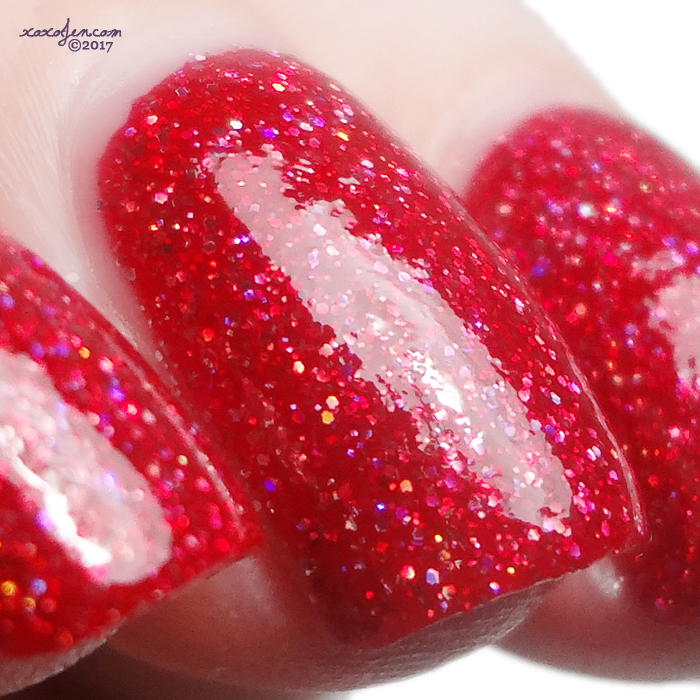 Deck The Claws – This red polish in our Mega Flame finish is full of sparkle and cheer. 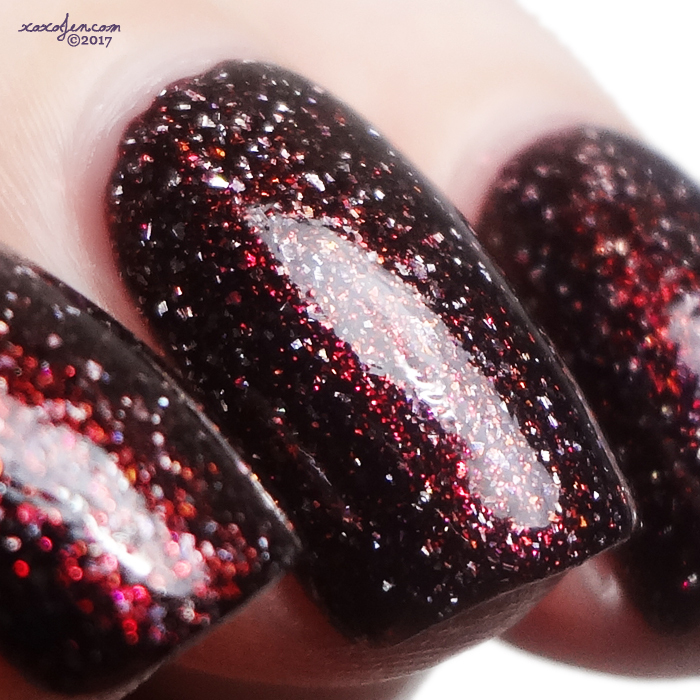 Holographic glitters catch the holiday lights and shine while accenting this perfectly festive red shade. Fir Sure – This green linear holographic polish is reminiscent of hunting down that perfect pine among rows of fir and spruce trees. Jewels Of The Trade – This mega flame finish is vibrant blue in color, almost a cross between sapphires and lapis lazuli gemstones. 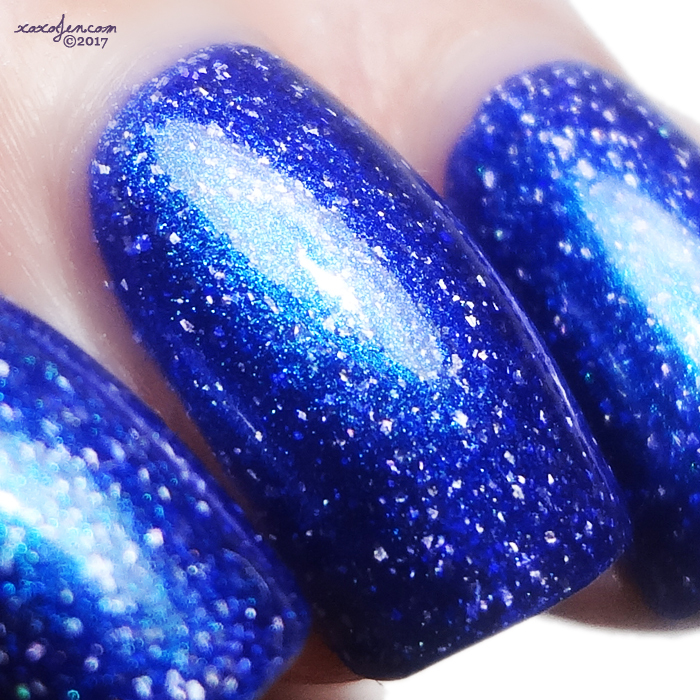 Why So Sirius?– Like a nebula in the sky, this spacy polish is bursting with a shimmer that shifts from a jewel toned purple to vibrant teal, while holo glow flakes twinkle against the deep navy base. 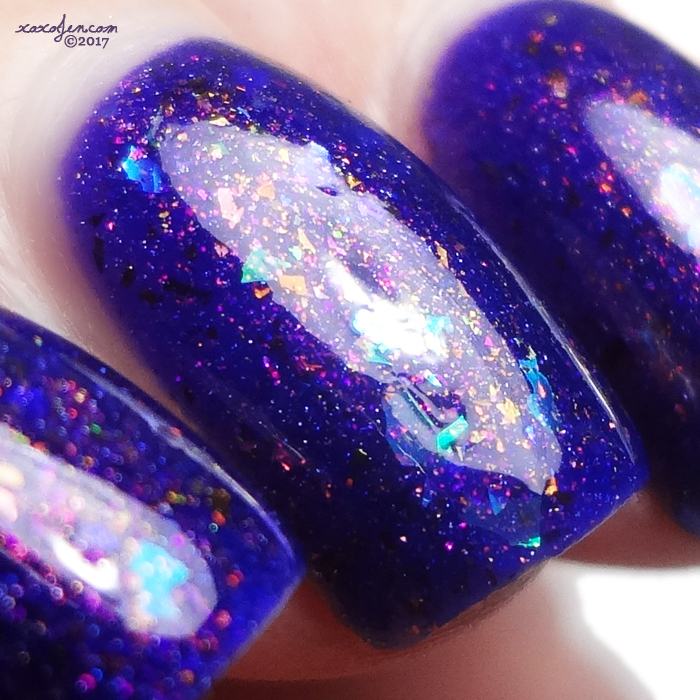 Come On Get App-y –This blue leaning purple has strong linear holo that shines brighter than your phones screen. 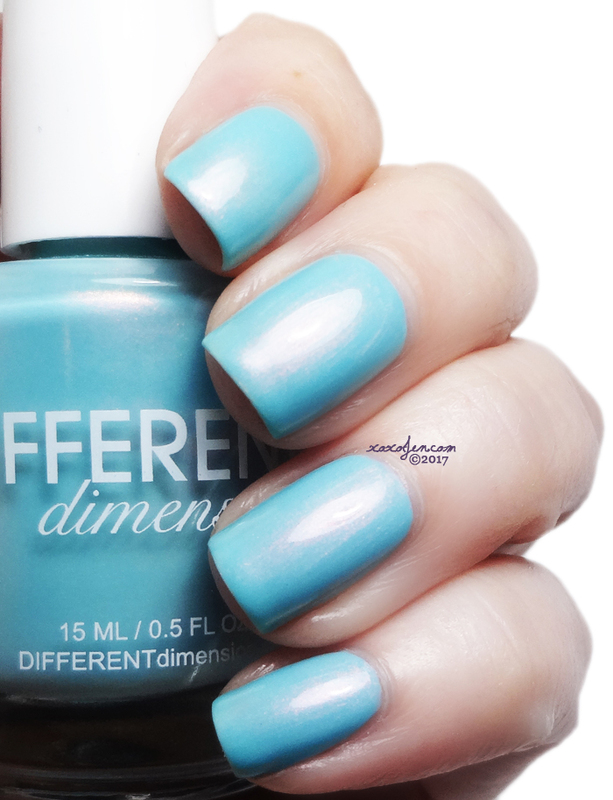 With two coat coverage this polish won’t interrupt your texting. shine red and copper, showing off the chocolate undertones. without the bold. 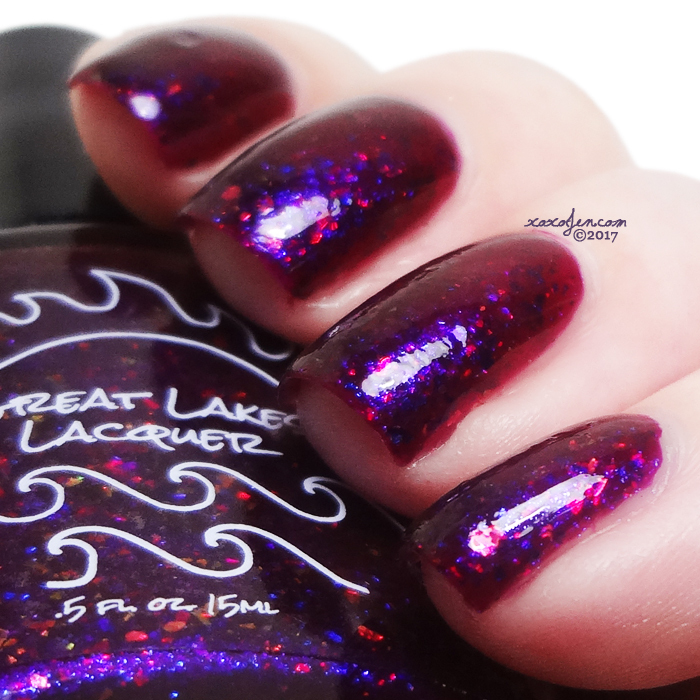 Whether you take your coffee with cream or without, this brew-tiful shade is a must have! 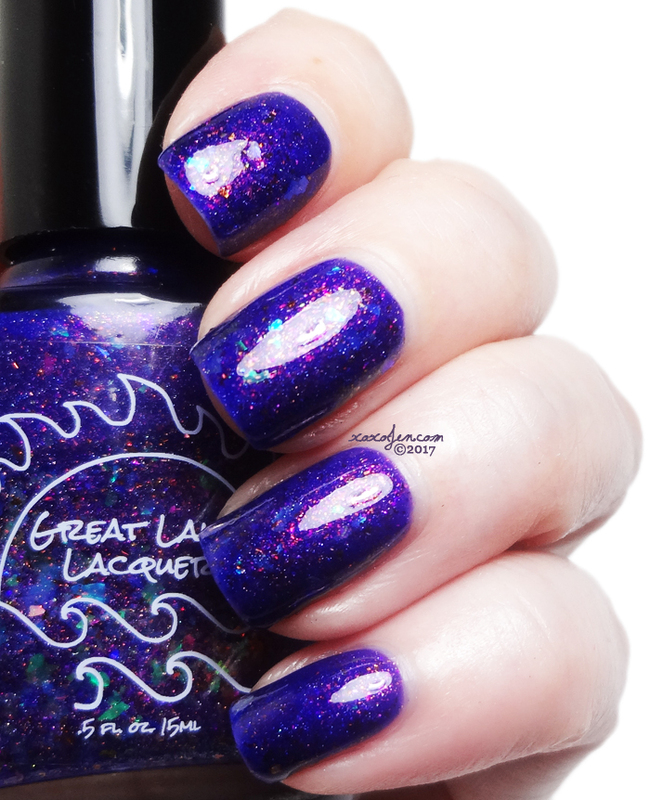 Also coming back for a limited time, a holiday favorite, Holly Back Girl! I don't have this polish, but it is a cute white crelly with red and green glitters and will be listed in the shop at launch. 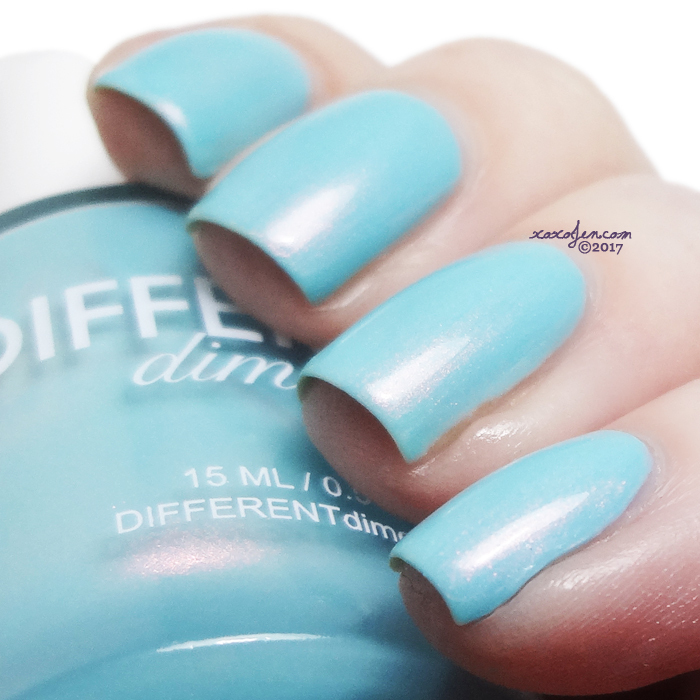 For each of the above polishes, I wore two coats for opacity. 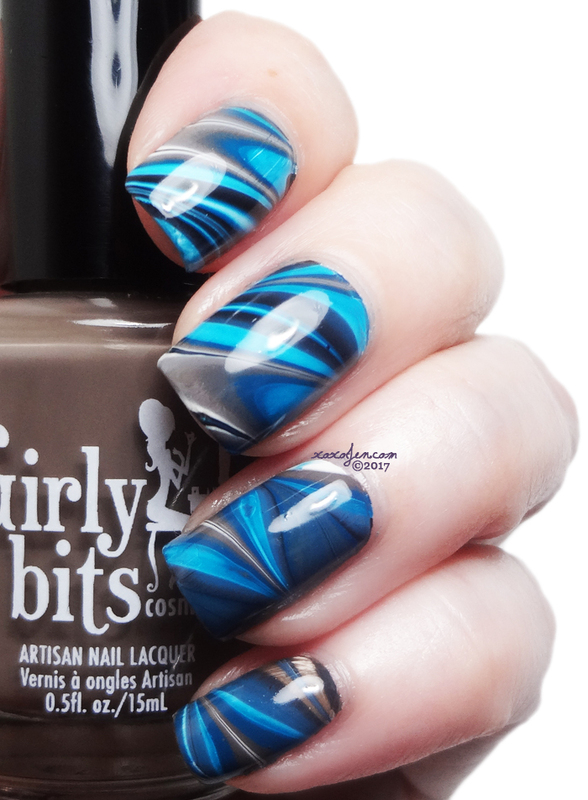 Then I topped them each with Clearly On Top topcoat, the best quick dry top coat on the market today indie or otherwise! Yes, that is a strong statement and I absolutely believe it is true. 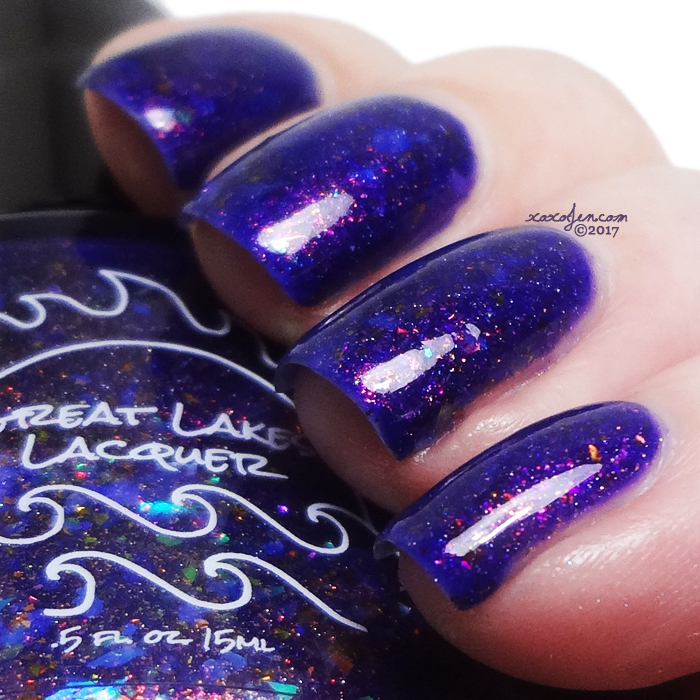 Blogging for eight years, I've tried dozens and dozens of top coats and this is the holy grail of top coats. If you haven't tried it yet, what are you waiting for?! 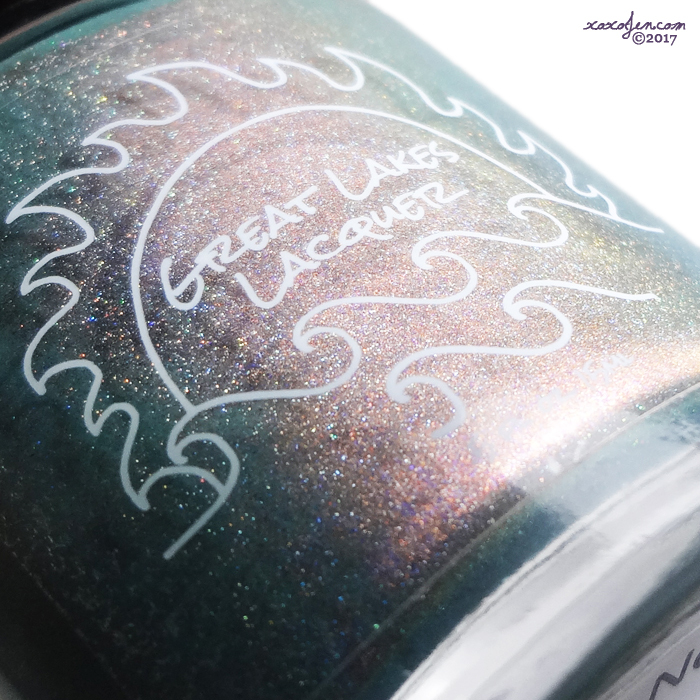 KBShimmer’s Holo-day Collection will be available online Friday December 1st, 2017 at KBShimmer.com, Amazon.com and select salons & retailers. 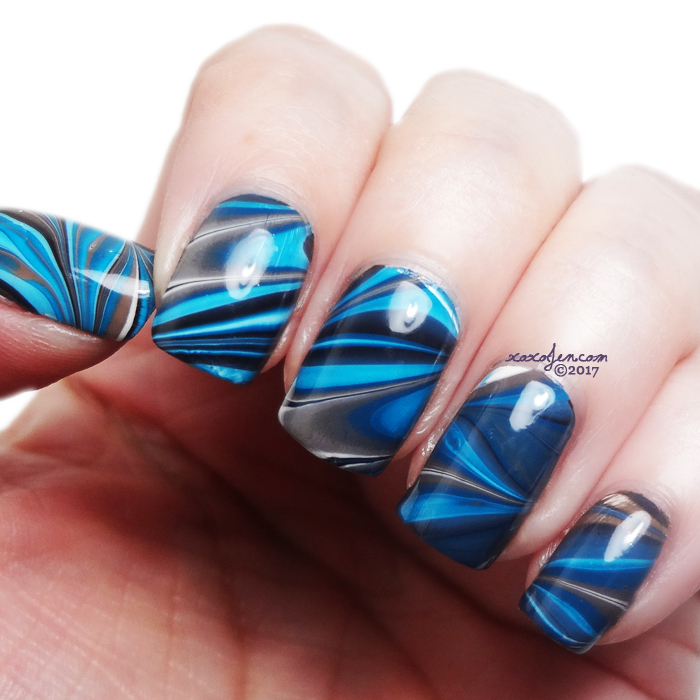 Tonight I decided to create a water marble design inspired by Sveta's Bracelet and water marble design of it. 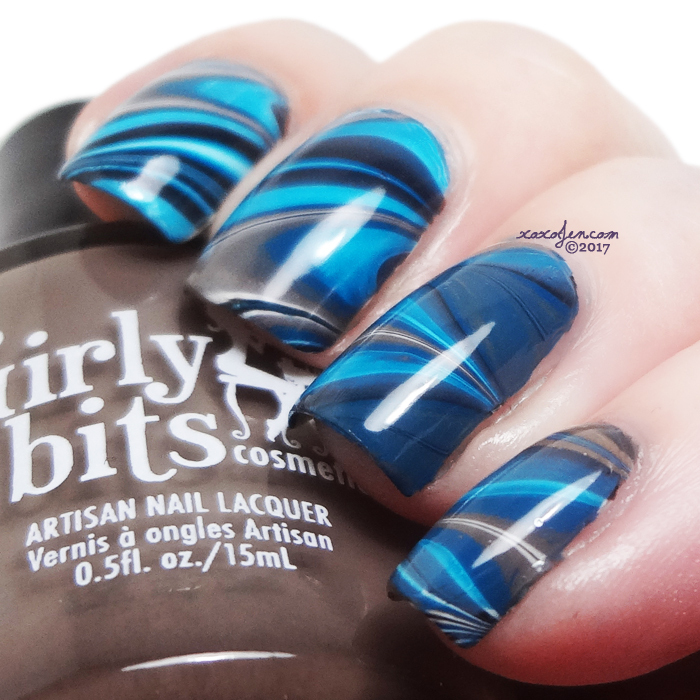 The Girly Bits Fall Part 1 polishes are perfect for it! First, I prepped my nails with a coat of Funky Fingers Gesso, which is a white cream. It's quick to dry and only took one coat. I used Walnuts About You, Stump Up the Jam and Sea You Next Fall from Girly Bits and Presence from Pretty Serious to create my bullseye. I used a condiment cup which I realize now was a bit too shallow. I prefer a little more depth to make sure I don't damage the design while clearing the water's surface. I used a total of 8-10 drops of polish per bullseye. When the teal and white were next to each other they blended which made a really pretty bright aqua. I've been wanting to recreate this design for almost three years, and am very pleased with the result; however, I still love the original design most. What design are you wearing for the holiday?